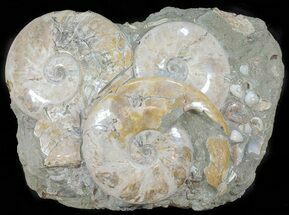 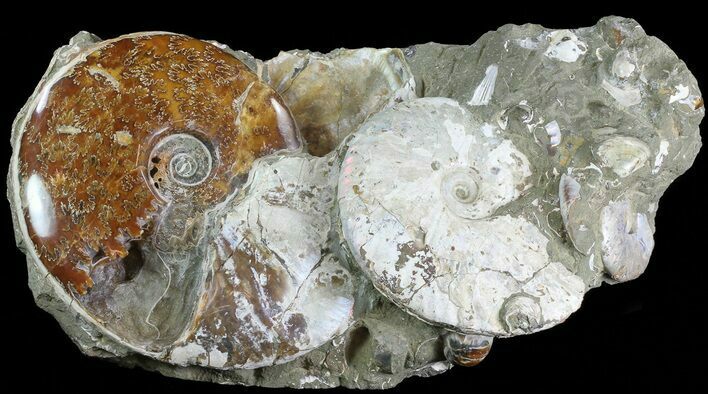 This is a very displayable cluster of fossil ammonites and clams from Madagascar.The ammonites are Cretaceous (Albian Stage) in age or approximately 110 million years old and are quarried in the Mahajanga Province of Madagascar. 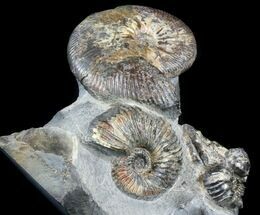 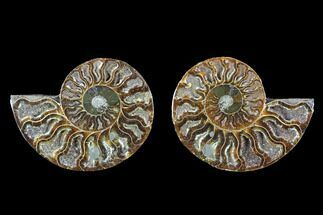 One of the ammonites is polished, displaying the beautiful suture pattern that lies underneath the shell, while the other has a natural, silver iridescent shell. 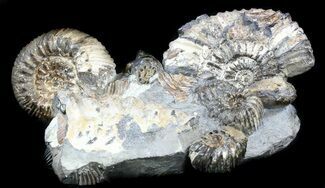 The entire piece is 18.5" wide, 8" tall, and the base has been cut flat so that it displays well on a hard surface. 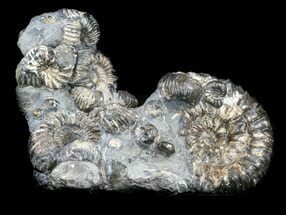 This is a heavy piece weighing approximately 24 lbs.